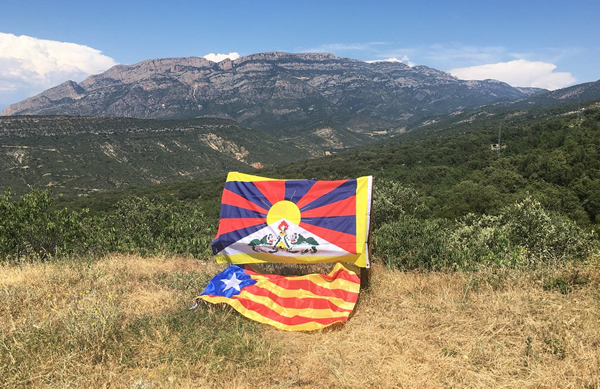 February 13 is the day on which Tibet’s independence is commemorated, for Tibetans under the terrorism of Chinese occupation however they will not be displaying their national flag. To do so would mean certain arrest, torture and the chilling prospect of being dispatched to years of forced-labor. 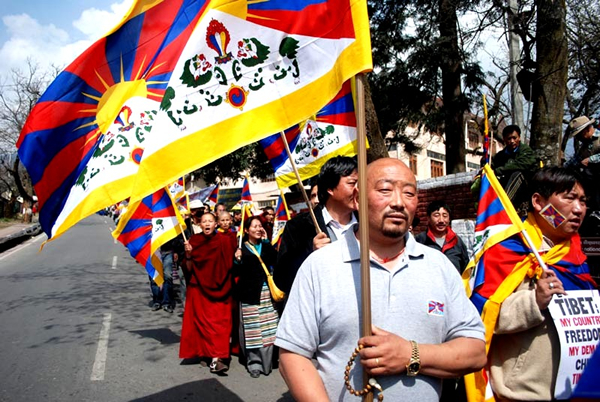 China’s regime is deeply fearful of Tibetan national and cultural identity, the flag symbolizes a powerful challenge to China’s illegal and brutal rule. Its place within the heart of Tibet’s people also rejects the falsehood, peddled by the Chinese department of disinformation, that Tibet is an inalienable and historic part of China. 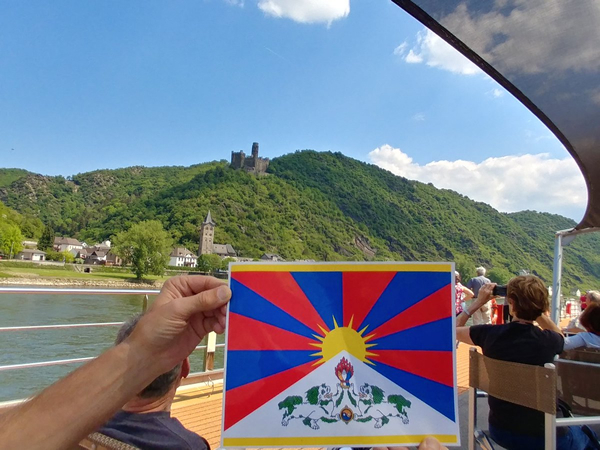 While the torturers and psycho-cops of the Chinese authorities can suppress the flying of Tibet’s flag beyond their totalitarian tyranny, Tibetans in exile and their global friends raise the Tibetan national emblem in solidarity with the just cause of independence for Tibet. 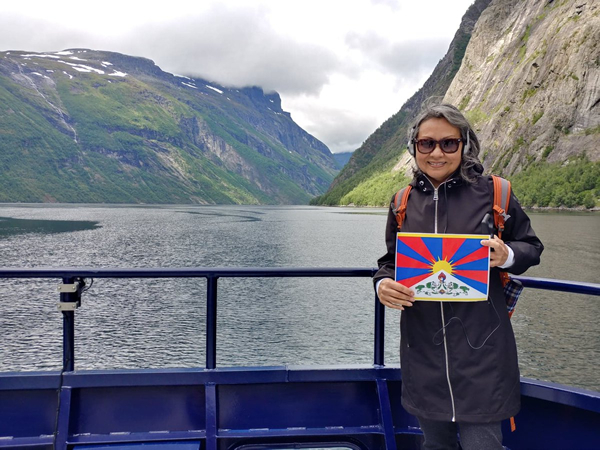 Last year @HeyJude408 (a longstanding supporter of our activism on Tibet) took the Tibetan flag along with her on a global trip and posted across social media photographs of it displayed at some of the world’s most beautiful locations. It was a wonderful action, simple, yet reaching many folks in a positive and thoughtful way. 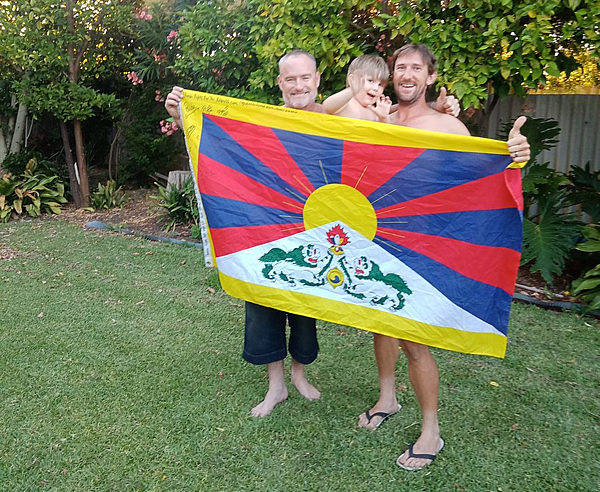 More recently another of our friends @hr4tvausnz on Twitter posted a series of photographs from Australia in which he and friends raised Tibet’s flag. 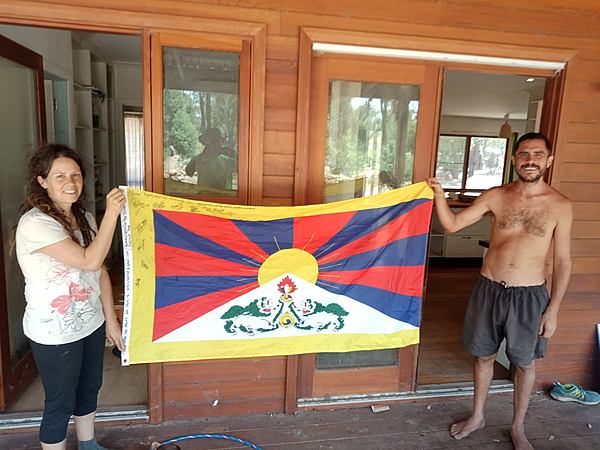 These are more than gesture, as they reach out and inform the many who’ve no knowledge of Tibet and its struggle, more still do not know of the Tibetan flag or it’s historic independence. Such images are also seen by China’s regime, which through an army of online trolls and observers is contantly monitoring social-media. 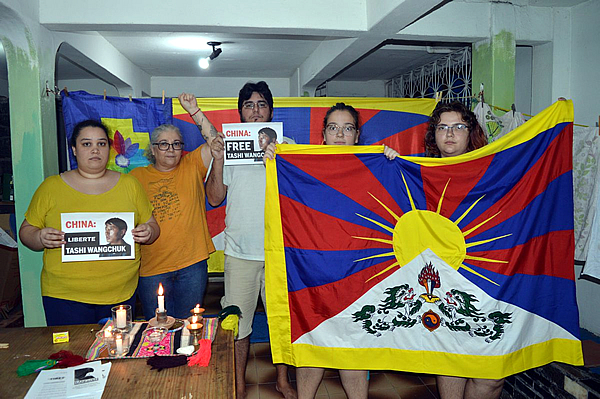 As such posting the symbol of Tibet’s national freedom is an expression of opposition to their tyranny, while displaying solidarity with the right of Tibetans to independence. 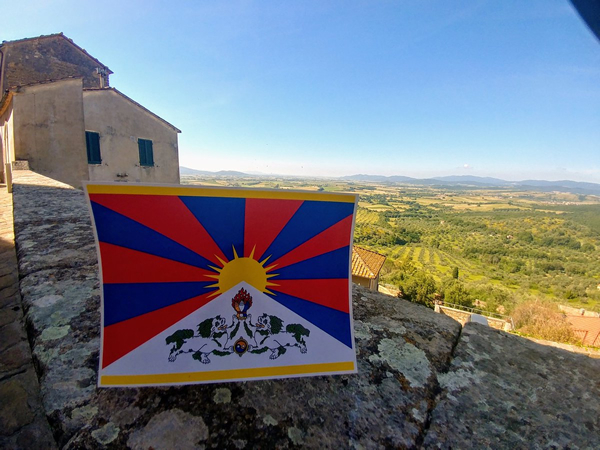 We hope you will join us and our many supporters online to share and display the flag of Tibet, especially on February 13.